While I consider myself to be a fairly proficient crocheter, I could also be described as terminally lazy. I think you’ll understand what I mean when I confess my 7 deadliest crochet sins. One more thing though – none of these crochet “sins” have ever stopped me from crocheting up a storm! 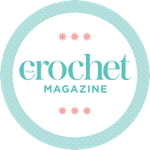 I crochet my way – and you should crochet yours! I never bother with a gauge swatch. No gauge swatch meant this jumper turned out huge – but I love it anyway! But I can’t ever be bothered. I have re-worked entire patterns on the fly before just because I couldn’t be bothered to make a gauge swatch and I felt like I was too far into a project to frog it. I am the worst at working my ends away while I go. Look at what I let myself in for when I don’t do my ends as I go! It doesn’t matter how big the project, until I’m finished with my hook, those ends aren’t going anywhere! I think this is why I used to make so much amigurumi – the ends are useful for sewing the bits together so it saves me a job! These guys look so appealing to me because I know how few ends I had to work away! I almost never use the yarn specified in the pattern. I used a completely different yarn to the pattern for my Sophie, and I LOVE how she turned out! I just look at the weight, and I pick something I’d rather use. And you know what? It’s never worked out badly for me so far! I think the Lydia Blanket and the Scheepjes CAL 2016 are the first yarn packs I’ve used for their allotted projects – it’s quite a relief in a lot of ways. I seem to mostly make blankets, and with a blanket project, you’re in for a slog. When I get to the end of a giant project, and I’ve put the hook away to sew in all the ends I’ve left hanging out, the last thing I want to do is to crochet a border. The thing is, I love how borders look – they really finish off a blanket, so I do need to sort this sin out. I don’t keep a record of what hook I’ve been using on abandoned projects. I have not finished this shawl yet, and I’m not sure I can – because I have no idea what hook size I used! I seem to think I’ll just remember what hook size I used when I finally pick the project up a year down the line. I haven’t remembered yet. Note to self: label your abandoned WIPs! Blocking is not my thing. In a house full of curious animals, blocking can prove difficult. As I’ve mentioned on the blog recently, I’m usually to be found working large one-piece projects which are a nightmare to block – you’re talking a king size bed, a zillion pins and a full day to dry out. I’d rather have curly edges. Having said that, now I’m working on a few projects using motifs, I’m finally blocking some stuff – but only because I’m in love with my new blocking board. I’m sure the novelty will wear off! As a Tunisian crochet fan, though, I seriously need to block more – that curl is a killer! …of the stash! My yarn stash is truly out of control. I can’t help myself when faced with a beautiful yarn – I just have to have it. It doesn’t matter if I have no idea what to make with it, I will happily buy it anyway. I took this photo to commemorate the only time I’ve been in a yarn shop and NOT bought any yarn. It’s not just yarn either – I’ll feed the crafting stash at any opportunity. If my amazon order is slightly under the amount to qualify for free delivery, I’ll find the difference by adding a hook to my basket, or a pom-pom maker, or some sewing accessories… I’m out of control! What are your crafting sins? I agree with no #1 I never make a swatch I just wing it if I have the right thickness of wool. Can also relate to a few of the others!! Ha! I don’t weave in my ends until the end, either. I think it is because, if I have to rip back my work, those already-worked-in ends are a pain, and they were a waste of time, too. Plus, I just like to sit down and work them in all at once. My sins are quite similar, although relate to knitting. I never use the ‘correct’ yarn, I don’t weave ends in, blocking? what’s blocking? 😛 and gauge patches – nah never! I’m guilty of most of these as well, and I’d say one of the ones you’ll most enjoy tackling is weaving the ends in as you go, such a joy not to have to do it all at the end! thanks for sharing on craft schooling Sunday! oh, pul-leeze! ONLY “7”? ha! MOSES keeps tossing large flat rocks at me!! I’ve been crocheting for over half a CENTURY and still CAN’T “read” a pattern! – I design my own! That way, my “project” IS the swatch. [Besides, my tension is pretty bang on, so I only need to eyeball it] And the only “blocking” that I’ve ever done, is the “way” INTO the odd room in my house with my warehouse-worth of STASH!! Ah, I commit all those sins too, except maybe the borders’ one. I love to add borders, I just lack the inspiration to find original ones sometimes. And I’m totally awful at following patterns. Most of the time reading a pattern is the same as reading a foreign language for me. I work much better with videos or picture tutorials…Anyway, than you for sharing this at The Really Crafty Link Party this week! Pinned! As I can’t crochet, I don’t really understand the full depth of your sinning…but from where I’m sitting your work looks amazing. The Sophie blanket? Wow. Yep to all! Apart from the borders; I love doing a border. I’ve started the border before sewing in ends, once or twice. The disappointment I feel when I realise what’s going on is immense!! I loved that comment from “Autnie Shan” Brilliant!